The Memory Magic™ Program, a comprehensive therapeutic intervention, uses Montessori principles with a person-centered approach. Engages individuals, small or large groups with a broad range of cognitive abilities for 60-minutes with one leader. 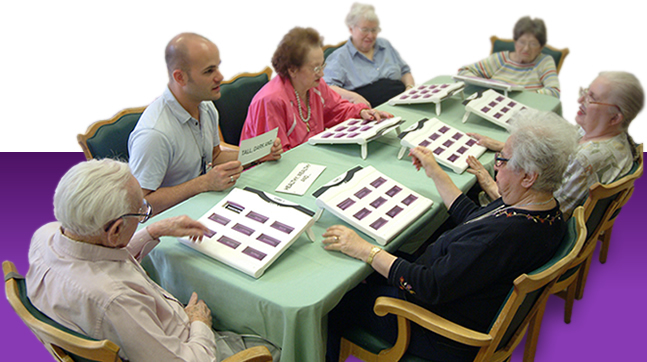 Watch the level of social interaction, positive feelings, and demonstrated ability of participants when provided with these scientifically developed and researched therapeutic tools. Christian Faith-Based Centers: New Testament Memory Magic™ Program is here! Reimbursement for SNFs in ST, OT and Restorative Nursing. CEU training for activity, rehab and nursing staff!